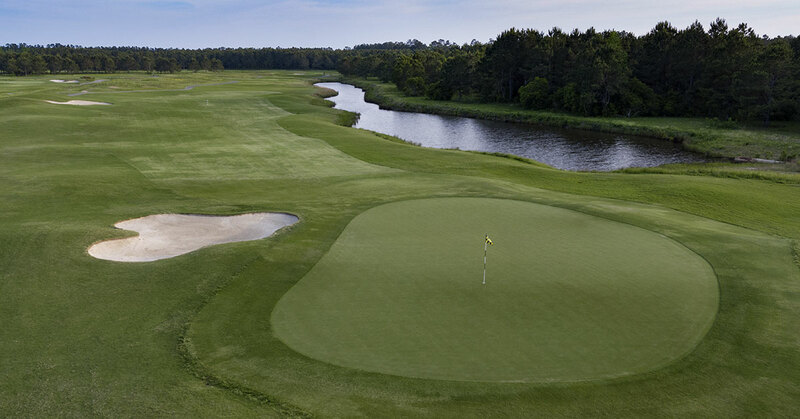 Farmstead Golf Course is one of the most underrated courses found in the Myrtle Beach area. This gem is located just north of North Myrtle Beach in the Little River area. Outstanding conditions are a given here. Particularly worth noting are the consistent and fast greens on the course. Combine that fact with a challenging links style course, and you get a great overall value. Farmstead shares the property with its sister course Meadowlands, which is just across the street. 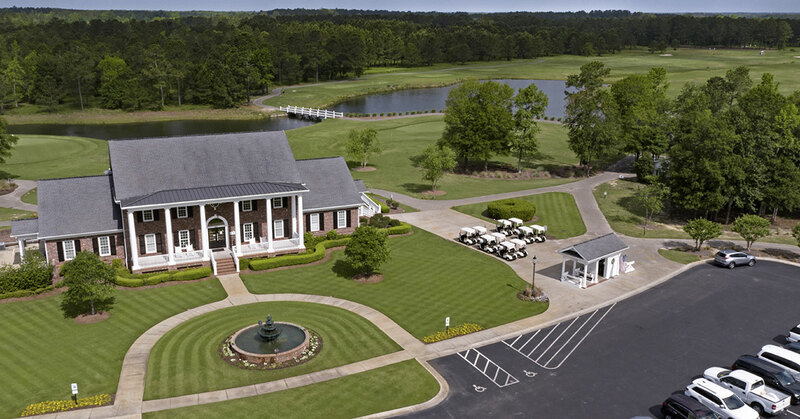 This facility allows golfers the chance to enjoy 36 memorable holes in one day or as part of a multiple day trip. Farmstead was designed by the late Willard Byrd, famous for creating nearby Heather Glen. The course opened in the year 2000, and celebrated its tenth anniversary in 2010. Among Farmstead Golf Course’s most picturesque golf holes is its par 3, number 12, which delivers both variety and challenge. Several tee boxes enable the greens crew to change this special golf hole even more dramatically each day – one day forcing a long iron shot over water and the next day avoiding the water entirely. In fact it is likely you will never play this hole the same way twice. 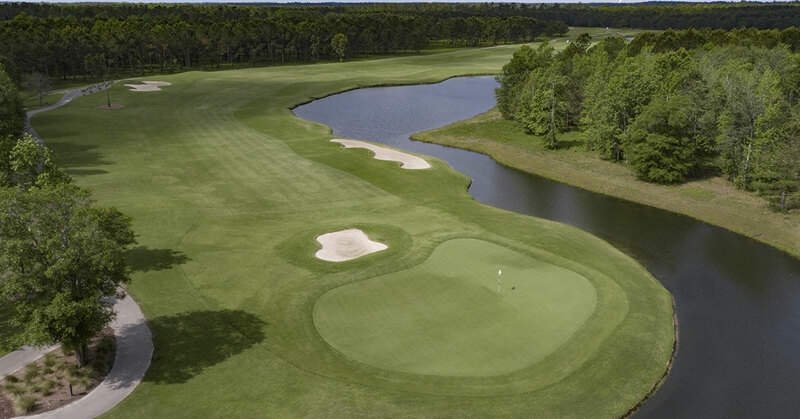 And many a golf match in Myrtle Beach has been decided on Farmstead Golf Course’s signature golf hole, the challenging 767 yard, par 6, 18th. 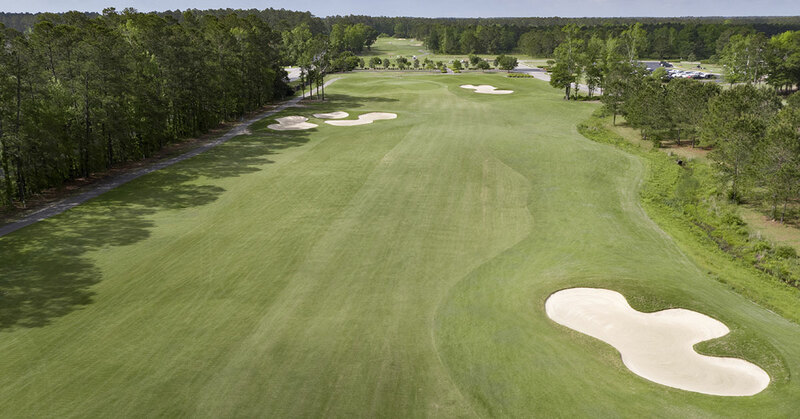 The hole begins in South Carolina where golfers tee off to a wide sweeping fairway. The next couple of shots then curve around a lake, before ending on a massive green across the border in North Carolina. As a result, you can get the uncommon experience of playing in two states on one hole. This hole was recently named one of the “18 Most Fun Holes In America” by Golf Digest in 2011. Including Farmstead in your next golf package will be a highlight for the entire party.